While all employees that work in hazardous environments receive safety training, there are ways that the training can go wrong. 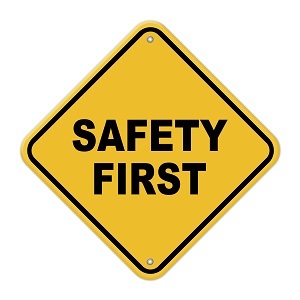 In any heavy-duty work environment, it’s essential that everyone remains safe and healthy. Safety training could mean the difference between employees going home without incident after each shift and having to deal with injuries. While all employees that work in hazardous environments receive safety training, there are ways that the training can go wrong. In many cases, companies use safety videos to teach workplace safety concepts to new employees. It helps save time and ensures that everyone has received the same information. However, without using other methods to explain them, some of the concepts may be lost or forgotten, depending on how individuals learn. Also, this format can be tedious and cause some people to lose interest quickly and not retain all the information that they need to know. The best approach to safety training is to incorporate a variety of teaching styles, ensuring that all trainees can absorb the concepts and put them into practice at work. Expecting people to grasp and then implement many concepts could be too much at one time. These training sessions are often long and tiring without much, if any, follow up. Incremental learning has shown to be better, since teaching a set number of concepts is easier to digest. Employees can implement these skills, and then add new ones to their repertoire. Turning the tables and then allowing employees to teach each other, by demonstrating the lessons that they’ve learned, also helps ensure that they are fully capable and ready to implement the concepts that they’ve learned. Effective safety training must be practical in its ability to be applied to real-life situations. The Occupational Safety and Health Administration requires employees who work in hazardous environments to be fully trained in procedures that will keep them safe as they perform their job duties and tasks. If training focuses solely on the legal aspects, it may neglect the importance of the practical, workplace applications of these procedures. In training, it’s important that instructors focus on how these procedures will keep workers safe and free from injury on a daily basis. This entry was posted on Friday, October 27th, 2017	at 12:51 pm	. Both comments and pings are currently closed.